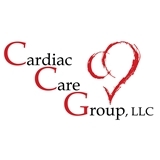 Cardiac Care Group, LLC (Cape Coral) - Book Appointment Online! Cardiac Care Group, LLC was created by Dr. Louis J. Scala, former Medical Director and Anthony Giordano, Director of Operations. The newest member of the staff, Dr. Joseph Freedman, brings with him vast experience in clinical cardiology from Ft. Lauderdale Florida, as well as specialist academic training from the Cleveland Clinic. Cardiac Care Group provides comprehensive adult cardiology services that include noninvasive/invasive diagnostic procedures and therapeutic interventions. To support referring physicians and to achieve the highest degree of quality and efficiency close to the community in this ever-changing healthcare environment, Cardiac Care Group utilizes most of the major hospital systems and participates in most of the major insurance companies in the Lee County area. He listened to me. We discussed tests. He reassured me that the condition I saw him for was ok. I feel better seeing him.